March 2018 - Graham Cockerton finished 2nd in the Cycling Australia National Masters Track Championships in the M5 Scratch Race. Mike Smith again took a Gold medal at the World Masters Track Championships in Los Angeles with Gold in the Team Sprint (Bronze in 2016), and Bronze in the Individual Sprint (Gold in 2016). 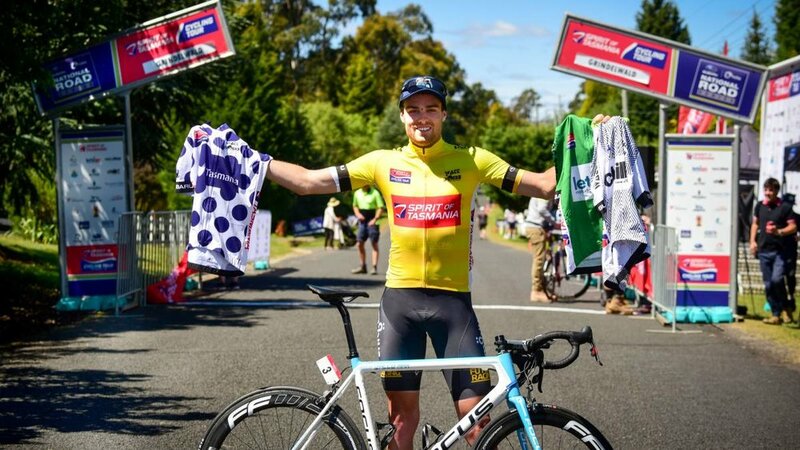 Peter Livingstone had a ground breaking 2017 with top 10 in the Cycling Australia National Under 23 Road Championships in January 2017, podium in the NSW Under 23 Road Championships, an outstanding secondment with ASFRA Flanders in Belgium, coupled with a stage win at the Tour of Tasmania at the end of the season. MTBA National Masters Cyclo Cross Championship August 17 - Mike Lawson took a Gold medal. National Masters Track Championships March 17 - Lise Benjamin took 4 Gold Medals plus the Champion of Champions Award. 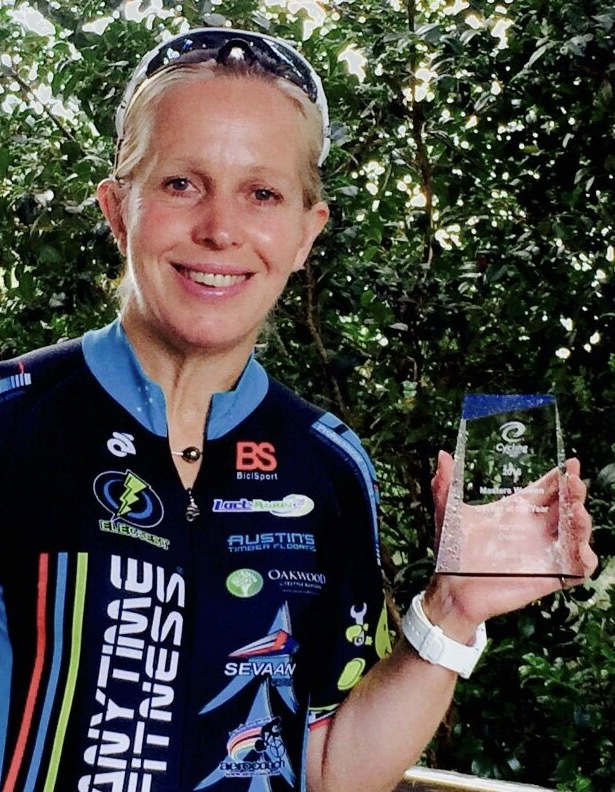 Lise was awarded the Cycling NSW Masters M7 "Cyclist of the Year" in January 2018 for her efforts at the National Track Championships. Mike Smith competed in Manchester in October 16. Mike took Gold in the M4 Sprint and Bronze in the Team Sprint. Lise Benjamin & David Browne were prominent at RAW Track during the 2016 RAW season. John Crouchley began the Derny restoration project (from the Sydney Olympics) in conjunction with CyclingNSW. World Masters Track Championships October 15 - Matt Glanville took Gold in the PointScore & Geoff Baxter the Silver medal. Matt also won the prestigious Cossavella Cup. The National Masters Track Championships were originally set down for Perth, but economic realities forced a late venue & date change back to Melbourne. The late date change to Melbourne accounted for David Willmott who was by then committed to going overseas & missed the Championships. BiciSport took 6 Gold medals (5 Gold if you consider that the Masters Kieran was a "demonstration event") and 2 Bronze medals. The NSW Cyclist of the Year Awards were held in conjunction with the Clarence Street Cup night at DGV. 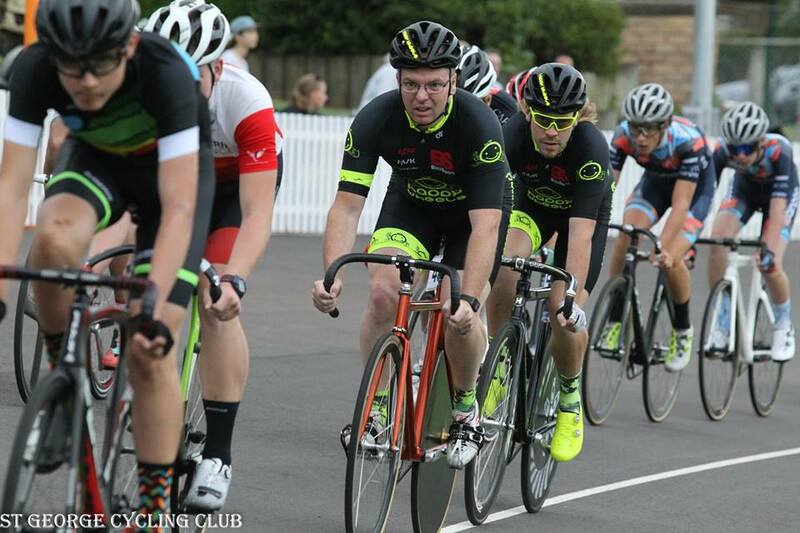 Matt Glanville was awarded the NSW Masters Cyclist of the Year (across all age categories, track & road). Its been a stellar year for Matt. Sue Tierney took the Masters Women W6 category award after posting victories (or the rare placing) in all Championships contested. David Willmott has amassed a total of 15 World Championships over the years and this year picked up another two. David was awarded the Masters Men M7 trophy. 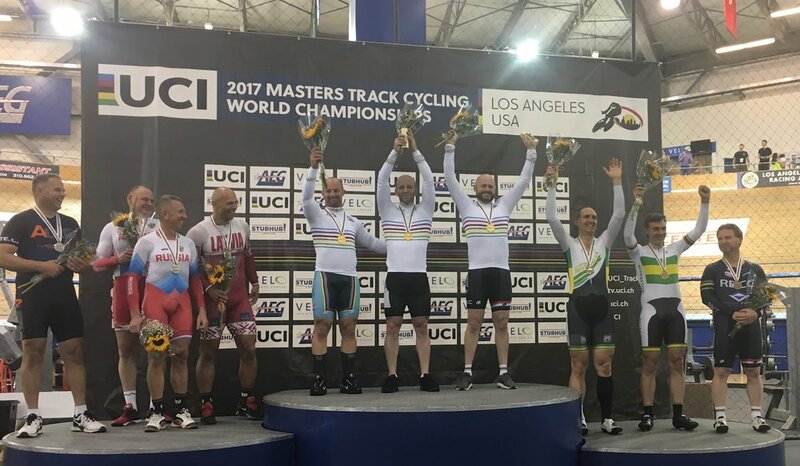 World Masters Track Championships at Manchester and the team took 3 Gold and 4 Silver medals plus a victory by Matt Glanville in the Cossavella Cup which concludes the Championships. 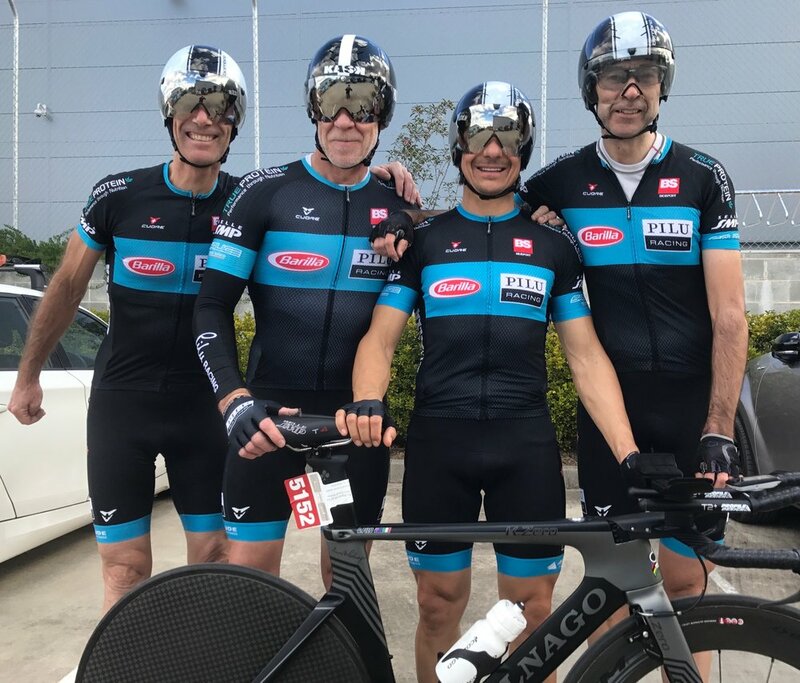 The BiciSport team to Manchester Worlds included David Willmott, Andrew Patten (Qld), Matt Glanville, Geoff Baxter & Jays Austin with the coach John Crouchley. Scratch Race - Matt Glanville & Geoff Baxter both took Silver. Points - Matt Glanville took Gold & Geoff Baxter took Silver. Cossavella Cup - Matt Glanville 1st, Jays Austin 4th, Geoff Baxter 7th, Andrew Patten 16th. One of the best NSW Masters Champs ever held with great organisation and a generous prize list. BiciSport took 6 Gold, 3 Silver and 2 Bronze. Road Race - The uphill finish was tailor made for a Van Vuuren, a Glanville or an ODR and so it proved to be. M2 - Oliver Dharma Ratne 2nd. M4 - Matt Glanville 1st, David Adcock 3rd, Dean Gale 19th, Giovanni Pilu 29th, Jordan Reizes 30th. M5 - Peter Selkrig 14th, Geoff Baxter 15th. M6 - Graham Tierney 12th. M7 - Mike Lawson 9th, Andy Feltham 13th. W3 - Martinette Van Vuuren 1st. W6 - Sue Tierney 1st, Kirsty Flanagan 9th. Criterium - Around the Griffith Council Chambers it was fast & furious. M2 - Oliver Dharma Ratne was 12th. M4 - Matt Glanville jumped at 200m and that was Gold. Dean Gale6th, Jordan Reizes 7th, Dave Adcock 17th & Giovanni Pilu 18th. M5 - Geoff Baxter was 3rd, Peter Selkrig 17th. M6 - Graham Tierney 14th. M7 - Mike Lawson 11th. W3 - Martinette Van Vuuren 2nd. W6 - Sue Tierney 1st, Kirsty Flanagan 10th. ITT - Using parts of the RR course a nice hit out for the 2016 Nationals. M4 - Dean Gale 8th (24-58), Giovanni Pilu 9th (24-59). M5 - Geoff Baxter 2nd (24-40), Peter Selkrig 6th (25-34). M6 - Graham Tierney 9th (28-22). M7 - Mike Lawson punctured. W4 - Kirsty Flanagan 8th (30-15). W6 - Sue Tierney 1st (28-26). Hillclimb - U19 - Conor Tarlington finished 12th. M2 - Oliver Dharma Ratne took Gold, M4 - Jays Austin took Gold, M 5 - Geoff Baxter took 4th. Road Race - Gold Wave - Geoff Baxter finished 79th @ 9min 32secs. NSW Teams Time Trial- 1 Gold 1 Bronze. Nowra hosted bumper entries with 120 teams in windy conditions, making the 18k grind out to the western u turn all the more challenging. Masters Men All Ages - Penrith were a stand out favourite and at the 13k mark had put 1min 15secs into the BiciSport team of Jays Austin, Stewart Campbell, Matt Glanville & Oliver Dharma Ratne. This team finally finished 4th (57min-25secs) some 1min 25secs behind Penrith showing the importance of the outward leg in deciding the Championship outcome. The team of Jordan Reizes, Giovanni Pilu, Jeremy Hopson, Dean Gale finished 6th in 58-24. The team of Mike O`Brien, Dom Zumbo, Rob Cook, Graham Tierney finished 26th in 67-00. Masters Men 150+ BiciSport has never collected a road medal in 150+ and it was a great achievement for Geoff Baxter, Peter Selkrig, Graham Cockerton & Mike Lawson to take the Bronze in 61-01. Masters Women 140+ BiciSport women were defending champions and looked the goods. Gold for Sue Tierney, Martinette Van Vuuren, Kristy Flanagan & Lise Benjamin in 73-00. National Masters were at Tweed Heads over 25-27 September. Another good haul of CA National jewellery from the Bici bandits. In the Women its not a surprise that Sue Tierney picked up Golds nor Martinette Van Vuuren taking a Silver in the Crit. Kirsty Flanagan taking medals in the road & crit was a real treat. In the Men the excellent Silver by Oliver Dharma Ratne followed on from a super Gunning Open A grade only 3 weeks before & a medal to Stewart Campbell in any Crit isn`t unexpected. ITT - W6-Sue Tierney took GoldW4-Kirsty Flanagan took Bronze @ 2min 27secs M1-Jeremy Hopson 5th @ 2-50M2-Oliver Dharma Ratne 6th @ 1-00M3-Stewart Campbell 10th @ 2-45 M6-Graham Tierney 12th @ 4-54 RR - W6-Sue Tierney 4th @ 37secs after flag marshall ruined the finish and confusion reigned. W4-Kirsty Flanagan 13th @ 3-57. M1-Brad Hamblett 9th @ 2-27, Jeremy Hopson 10th. M2-Oliver Dharma Ratne took Silver. M4-David Adcock took 8th @ 5secs. Criteriums - W6-Sue Tierney took Gold. W4-Kirsty Flanagan took Silver. W3-Martinette Van Vuuren took Silver. M1-Brad Hamblett 13th, Jeremy Hopson 14th. M2-David Munro 10th. M3-Stewart Campbell took Bronze. M6-Graham Tierney took 17th. At the Great Divide Open in Goulburn in September Stewart Campbell finished 4th in the Breadalbane ITT. The following day at the Gunning RR Oliver Dahme Ratne finished 19th in A grade and Conot Tarlington took 18th in B grade. Martinette Van Vuuren took the win in Womens B grade. RAW Track and contributions by Jays Austin, Geoff Baxter, Rod Chaplin, David Browne & Matt Glanville. Matt finished 3rd in Division 1 and David 2nd in Division 2. BiciSport was 6th (from 45 clubs) in the RAW Club Pointscore. The Amy Gillett Gran Fondo in Lorne and Oliver Dahme Ratne was an excellent 6th in the 35-39 age category. Peter Selkrig rode the UWCT World Championships in Demark and finished 61st from 250 starters. Kirsty Flanagan took the win at the HEZ criterium in August.